Let’s face it – medical practices generally have a sterile kind of image to them. Patients rarely have close connections to these businesses and the overall personality is distant and vague. 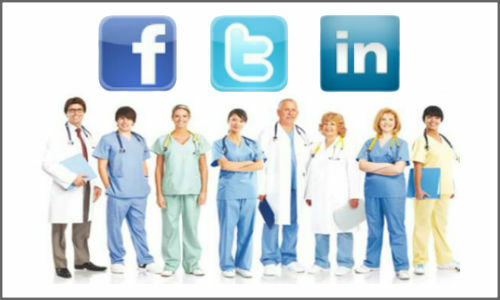 Using social media can allow your specific medical practice to stand out simply by having a personality. Interacting with patients and customers helps dissolve that distant image and help your organization become familiar to people. What are your patients saying about you? Are your customers satisfied? Social media gives your followers a platform to provide reviews and feedback. This feedback helps you mold your organization to the likes and satisfaction of your clients. General surveys to gather specific feedback can also be conducted on your social media pages. Furthermore, you can respond to feedback or comments on your social media pages, becoming more responsive and open towards your customers. Social media allows medical practices to attract more customers by providing relevant information and education about their related healthcare field. This helps a medical marketer establish an informed and knowledgeable image and allows patients to rely on the medical practices’ social media pages for good information. You can use your social media to offer unique benefits, provide individual video or image content about your products and services, and generally offer content that attracts people to your business. Social media doesn’t just let you connect with patients or customers, but can also be used to connect with related medical practices to engage in cross-promotion marketing. It works simply – you can connect patients with services of other medical practices and they can do the same for you. This way, you get additional exposure by tapping into the consumer base of other medical practice organizations. It also helps you establish a more professional standing in front of your customers, making you look more authentic and reliable. The opportunities that reside within social media for medical practice marketing are endless. Good image, good connections, responsiveness and communicativeness, knowledgeability – all of these are positive aspects for a medical practice or organization. It is no secret that content is still a popular digital marketing solution but it is all the more better for the medical industry. Almost 75% of consumers go online to find answers about health questions. This makes it easy to target customers by using content as a means to an end. 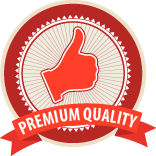 The people can be easily given content about related services, products, or healthcare brands. Using compelling content makes it even easier to capture the interest of consumers. The customers are already doing the searching – medical practices only have to provide the answers. Mobile is increasingly becoming one of the most popular trends in online marketing activities and for good reason. With so many of the world’s population having a smartphone in their hands, the potential of attracting their interest keeps rising. Medical practices can use mobile as a unique way to connect to customers by providing them mobile tools that allow them to take better control of their health. In the coming year, more and more customers will connect with medical practices through mobile connections. Mobile also opens door for connecting to local audiences. Location based ads use proximity techniques to connect to an audience in a manner that is accessible and within reach. Healthcare marketers and medical practices can easily make use of targeted content, ads, coupons, and more to attract local customers of a specific location. As ever, social media remains a popular medium, even for medical practices. 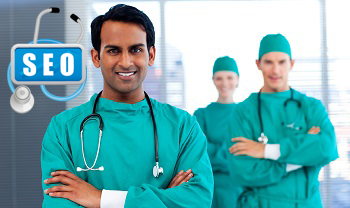 In fact, it is the perfect channel for the healthcare industry because social media is personal for individuals. Additionally, with the rise in popularity of people making their healthcare choices and making them widely known on social media, sites like Facebook and Twitter have become the ideal forums for medical practices to connect with enthusiastic customers, provide their content, build potential, and increase exposure. The main target with using social media for medical practices is to connect to users in a manner that builds trust and confidence – an essential element when it comes to an industry like healthcare. With social media offering the perfect solution to this connection-building, it is safe to say it will remain a trend for a good time. Videos offer a concise and clear way to understand a brand and its benefits, which is why it is prevailing as a popular trend. Since text content can be time consuming to grasp, video content offers the exact opposite. People can easily understand your medical practice simply by hitting the play button. More and more marketers are turning to video as a preferred form of content. When you compare the act of typing in a health query on Google with the act of going to your doctor to present that health query, the easier of the two is always the former. With the rise of mobile and further convenience of searching for answers online, it is no wonder that people always tend to first turn online for their concerns. This influence that Google has (Google, because it is the most used and most popular search engine) is an essential key that can be leveraged for medical practice marketing. The most popular health-related queries on Google are regarding breast cancer, heart problems, and depression. All three of these terms signify a serious ailment that needs to be put in front of a specialist or doctor, not a search bar, but that still does not change the fact that people do Google these queries. However, is it totally hopeless? In most cases, the situation is that the people Google first, and go to the doctor next. The quality answers that Google offers, provides users better insight about their health, which they also discuss with their doctors later on. The main reason why people Google first, go to the doctor later is because they get instant answers. They don’t have to go anywhere, they don’t have to book an appointment – the answers are immediate. So how does this information help medical practices and medical marketers? Simple. The medical practices can offer quality health information that leads users to them directly. They are not only expanding their online presence with more content and blogging, they are also expanding their online reach by connecting with concerned users. Keywords play a major role in using Google Health for better marketing of your medical practice. The patients who are searching online are mainly using specific keywords to find answers such as “symptoms of breast cancer”. A medical marketer can focus on keywords related to their medical practice and then implement those keywords in their content and answers so that the patients are automatically led to their online site. Thus it is safe to say that using Google Health for medical marketing requires good keyword research. Additionally, the answers or content provided for the use of patients should be clear, descriptive, and most importantly, easy to understand. Patients are looking for easy medical answers that they can comprehend, not difficult medical terms that only healthcare professionals understand. With the right answers that are there to benefit not just your medical practice but also concerned patients, both the parties involved can benefit significantly using Google Health. The medical practice marketers enjoy high traffic, increased exposure, and higher potential of customers whereas the patients or users enjoy relevant answers to their medical concerns.